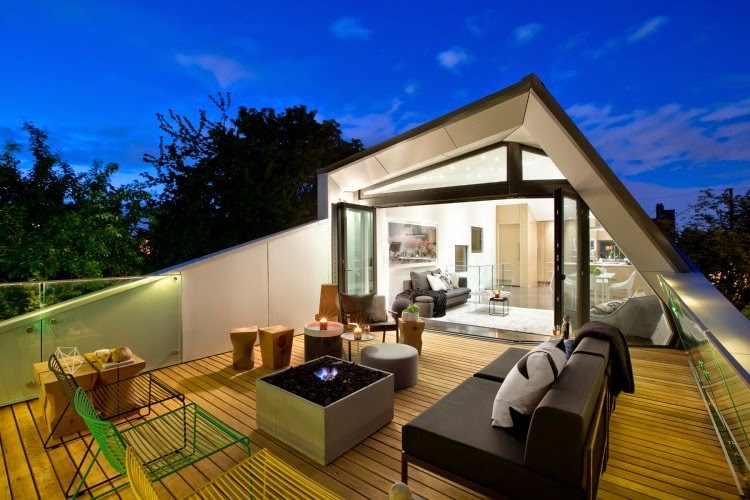 Back for its second year, the Vancouver Modern Home Tour aims to inspire and delight the architect in you on Saturday, September 20th, 2014, as part of Western Living Magazine’s Design Week. Ever wonder how 'that unique, cool house you always drive by' looks on the inside? This tour will give you that rare opportunity to visit and walk-through some of the Vancouver’s, most amazing modern private residences, and meet the local architects behind the designs. • A home designed by architect Oliver Lang (of Lang Wilson Practical in Architecture) and built by the Vanglo Sustainable Construction Ltd., located in the Mt. Pleasant area of town, that features a three-bedroom house above a one bedroom self-contained garden suite (below), and a mid-sized flex room equipped to be a either a media room, office, storage, yoga studio, suite extension (second bedroom), or car garage. • The Shaughnessy home of architect David Thom (of IBI Group Inc.) and interior designer Juli Hodgson (of Hodgson Design Associates), which sits on a steep lot that offers unique perspectives of the outdoor elements from inside the house through large windows and sliding glass doors on the first floor and breathtaking vistas of the mountains and the ocean from the second floor. • A home by Frits de Vries Architect Ltd. near Valdez Park in Dunbar that features both downtown and mountain views from the front of the house, with a private garden and entertaining patio in the rear, and a rooftop deck that offers the inhabiting family an outdoor living experience with a large seating area and hot tub. • A home right across from Kitsilano Beach Park originally built in 1910 and recently lifted and completely overhauled by Kelly Deck Deign into a contemporary beach house with two suites - one executive rental and one owner- occupied loft style unit on the upper floors. 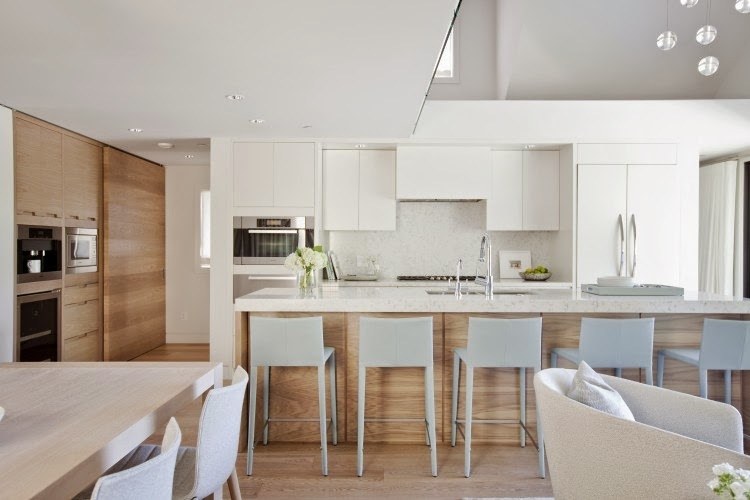 • A second home from Frits de Vries Architect Ltd., located right in the heart of West Vancouver, that is organized around a feature interior double-height division, bisecting social and family areas, keeping the home’s private and public spaces separate. • A West Vancouver home designed by Peter Hildebrand (of Iredale Group Architecture) that features stunning views over Vancouver and Mount Baker beyond, and makes excellent use of natural light penetrations, thanks in part to an oversized skylight located above the two-story main entrance. • A home in West Vancouver’s Eagle Harbor, originally built in 1978, but recently re-designed, decorated and inhabited by Anja Henche of ah-design, which features very open and bright interiors that male the very square, tall home’s owner feel like living in a large treehouse. For more details, to see a current roster of homes with details and photos, and to buy tickets for the CITY Modern Home Tour, visit: http://modernhometours.com/event/vancouver-modern-home-tour. Modern Home Tours has generously offered my readers a chance to win tickets! We're giving away TWO pairs of tickets! The giveaway will end on September 18th, 2014 11:59pm and the two winners will be notified the following day. Good luck! Looking forward to the tour this year! Really want to check these houses out! Been waiting for news of the tour! Last year's was really interesting, so I can't wait to see the houses this year! Looking forward to this tour, to get some new ideas for the house! Hillside road looks pretty amazing. 135 East 17th Ave looks amazing! I am determined to see these houses. I want to see the one on 3140 West 23rd Ave.
i wanna see the vanglo house! 135 East 17th Avenue looks out of this world! i want to see that one!